A variety of forms designed to effortlessly help guide you through the process of contracting business through us. 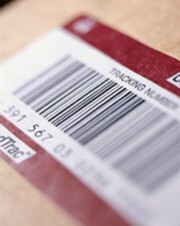 These tools will help keep you informed of your shipment and it’s delivery. The new Incoterms 2010 are internationally accepted commercial terms defining the respective roles of the buyer and seller in the arrangement of transportation and other responsibilities and clarify when the ownership of the merchandise takes place. They are used in conjunction with a sales agreement or other method of transacting the sale.